The Employee Retirement Income Security Act of 1974 (ERISA) requires employers to provide a Summary Plan Description (SPD) to employees if they offer health, dental, vision, life, disability or other benefits. Many employers are either unaware of this requirement, or they distribute documents that do not meet the SPD requirements laid out by ERISA. Certificates of Coverage (COC), Summaries of Benefits and Coverage (SBC) or general contracts issued by insurance carriers are not the same as ERISA-compliant SPDs. Typically, these types of documents do not include all the required SPD provisions and disclosures. Insurance companies write their certificates and booklets to be compliant with insurance laws. It is the responsibility of the plan administrator (which is almost always the employer) to comply with the SPD requirements of ERISA. Name of the plan or the plan’ s common name. Name and address of the plan sponsor. Name, address and phone number of the plan administrator. Plan year (which may be different than the policy year). Plan number (as defined in the Form 5500 reporting rules). Employer identification number (EIN), also known as the Tax ID number or (TIN). Type of welfare plan (e.g. health, life, disability). How the plan is administered (e.g. self-administered, insured, TPA). Name and contact information of the Agent for Service of Legal Process. Circumstances that could result in the disqualification, ineligibility, denial, loss, forfeiture, suspension, offset, reduction, or recovery of any benefit. Source of premium contributions (e.g. employer and employee contributions). Funding medium (e.g. employer general assets or trust). Procedures for qualified medical child support orders (QMSCO). A statement indicating all plan documents will be available free of charge after an adverse benefit determination. If the plan is collectively bargained, details on where a copy of the agreement can be found. 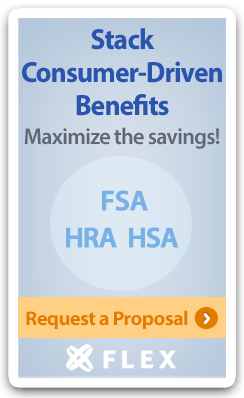 HIPAA special enrollment rights and privacy procedures. Newborns’ and Mothers’ Health Protection Act disclosure. Women’ s Health and Cancer Rights Act disclosure. CHIPRA special enrollment rights disclosure. Terms under which the employer may amend or terminate the plan. With so many ERISA requirements missing, that means employers must supplement the carrier materials with an additional document or risk costly penalties. Many employers choose to use a single document which “wraps around” all the benefits they offer so that they don’t have to prepare multiple documents, hence the name Wrap Document. Having a wrap document helps employers minimize the risk of financial penalties and lawsuits and keeps them compliant with demanding laws. These documents also help save time and money. Employers can consolidate all health and welfare plans under the same wrap document, so there’s no need to update or amend multiple documents in response to legislative changes, regulatory changes or changes made by the employer with respect to the benefits they offer. Have a question or need advice about wrap documents? Ask the Expert! Looking for a wrap document for your company?